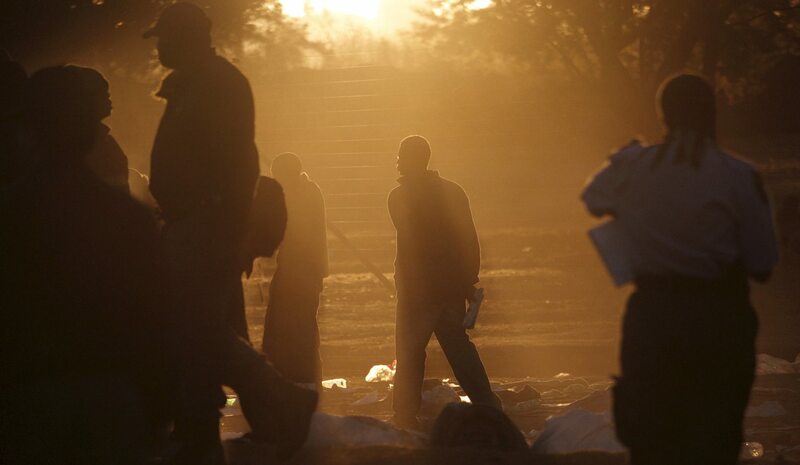 There are numerous indications that Gauteng is once again teetering on the precipice of xenophobic violence. Exhibit A: a flare-up of attacks on foreign-owned residences and businesses. Exhibit B: the registration of an explicitly xenophobic political party. Exhibit C: an anti-foreigner march planned for Friday. This is all playing out in full public view, so nobody can claim they didn’t see it coming. The question is: why isn’t anyone acting to stop it before it happens? By REBECCA DAVIS. Mario Khumalo’s WhatsApp status reads: “Nationalism is the triumph of good over evil”. That seems fitting for a man who has registered a political party called South African First, whose stated mandate is to drive foreigners from South Africa. But don’t call Khumalo xenophobic. The problem, in Khumalo’s view, is the presence of foreign nationals in South Africa. No sooner was apartheid formally dismantled, he says, than South Africa was expected to become the host for the rest of the continent. Other African countries offered support to South Africans during the struggle against apartheid when they could ill afford it. Doesn’t South Africa have a moral duty to repay some of that hospitality? Khumalo is not alone in his views, as recent events in Gauteng have shown. Last week violence erupted in Johannesburg’s southern suburbs in a dispute over “hijacked” buildings. The Sunday Times quoted DA councillor Tyrell Meyers as accusing foreigners of operating as slum lords without the necessary certification. Twelve foreign-owned or foreign-occupied houses in Rosettenville were torched by angry residents claiming the houses were used as drug dens and brothels. GroundUp reported that during the violence a Malawian mechanic was beaten up by a crowd accusing him of being a Nigerian drug-dealer, before an Ethiopian-owned tuckshop next door was looted. “An orchestrated xenophobic campaign is taking place in JHB and Pretoria and nobody is doing anything about it”. The group has planned a march against foreigners, to take place in central Pretoria on Friday. Tshwane police have not yet indicated whether permission will be granted for the march to proceed. National convenor Makgoka Lekganyane told Daily Maverick that this will not deter the group: “We will have the march on Friday. This issue must be raised. We are being discouraged from telling the truth.” He stressed that they wished the march to be peaceful. The march aims to visit the departments of Home Affairs, Labour and Police to express grievances. Like Khumalo, Lekganyane expressed frustration that South Africa was expected to open its borders to the rest of Africa immediately after achieving its long-sought democracy. He points out that countries like Nigeria and Zimbabwe secured independence decades before South Africa. “When was Nigeria free? When was Zimbabwe free? What have they been doing with their countries?” he asks. Tshwane mayor Solly Msimanga assured the Daily Maverick on Monday that the City of Tshwane is “alive to the situation” and will be meeting with provincial police and the Gauteng MEC for Community Safety to “collaborate on a problem that is a challenge to the entire province”. Msimanga condemned “violent and xenophobic calls to community leaders to violently and unlawfully persecute foreign nationals within our jurisdiction”. This assurance may not quell the anxieties of increasingly anxious immigrants. Marc Gbaffou, chair of the African Diaspora Forum, released an open letter to the president, police, political party leaders and Home Affairs in late January appealing to them to condemn the planned xenophobic march. Gbaffou described the flyer’s rhetoric as consisting of “slanderous and defamatory attacks on the migrant communities mentioned”, and urged authorities not to allow the march to take place. The right to protest, Gbaffou said, had to be balanced alongside the prevention of speech that incites violence and hatred. Gbaffou believes that one figure in particular is to blame for precipitating the rising tide of public xenophobia: Johannesburg Mayor Herman Mashaba, who railed against criminal foreigners in December. Mayor Mashaba’s office did not respond to requests for comment on Monday. Xenophobia is a word the government has shied away from in the past, as a source of embarrassment negatively impacting its bilateral relations with other African countries. It will have to start facing the word once again.